When many jewelry buyers and collectors stumble across a rich, deep red gemstone, they may naturally assume that the item is a ruby. However, rubellite is another reddish gemstone that has great appeal in the marketplace, and many lovely pieces feature these stones. Learning more about it can help you to make a better buying decision when you are shopping for jewelry in the future. Tourmaline is a rather common mineral that is found naturally in many areas of the world. It is available in a wide range of colors, and these include blue, green, black, brown and colorless or transparent. 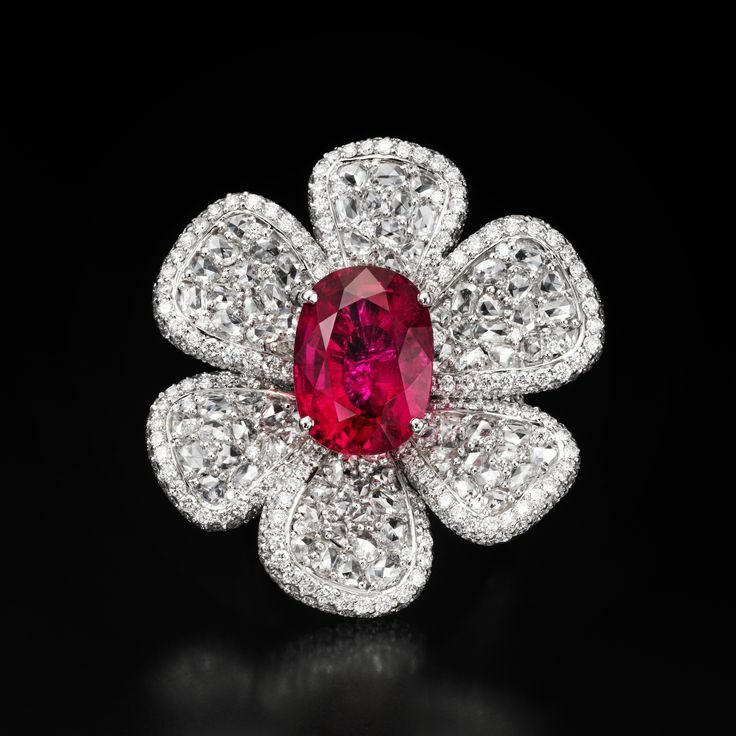 Rubellite is a rare and precious gemstone that is most commonly known as rubellite tourmaline. This gemstone is one of the most unique forms of tourmaline. Because of its rarity and overall appeal, it generally is a rather expensive gemstone. However, its exact value is typically based on the coloring, and deeper colors are more valuable. Rubellite and other forms of tourmaline have an elongated crystalline nature that scatters light beautifully. Tourmaline is most commonly found in Sri Lanka, but it has also been found in Italy, Brazil and other areas. The gemstone was first sold by locals in Sri Lanka to the Dutch East India Company several hundred years ago during normal trading activities, and it continues to be mined and turned in jewelry today. Today, the gemstone is also commonly used by scientists to polarize light in various lab tests. Hardness: 7 – 7.5 on Mohs scale. Luster: Usually vitreous, but it may be resinous in some instances. Color: A translucent, vivid pink or red color, often has a slight violet tint; may be a solid hue or a combination of two, three or more hues. This stunning gemstone is a silicate material, which is the case for all types of tourmaline. With a closer look at the composition of rubellite, you will see that the crystals are parallel and elongated. There are acicular prisms in the gemstones that are often radiating. The material is rather hard and dense, but it refracts light very well. In fact, it has double refractive and uniaxial negative properties that make it use in many areas of science. The varieties of this gemstone that are a lighter shade of pink have very weak ultraviolet fluorescence, but the deeper ruby color and violet color have both long and short wave fluorescence. Pink rubellite tourmalines get their coloring from natural irradiation that occurs naturally in many areas of the world. Pink is one of the more common forms of this lovely gemstone, so it is also one of the more affordable colors in markets around the world. The deeper hues of red and violet in rubellite are the result of the material being naturally exposed to gamma rays related to the radioactive decay of elements in the surrounding granite. Because this is a more unique or rare process, the prevalence of red and reddish violet rubellite is less common. This results in reddish or red-violet rubellite selling for a higher price in the marketplace and being much more difficult for consumers to find. Because of rubellite’s red or pink coloring, it has numerous metaphysical properties. For example, it is a calming stone that helps people to relax and release emotional pain that they may be clinging to. It may also be useful in decreasing stress and uneasy feelings. When the person’s life is in balance, the gemstone can bring abundance in different ways. Rubellite also has powerful romantic properties, and it is known for deep passion and love in a highly energetic way. Rubellite also has meaning healing properties for a wide range of conditions. For example, it is used as a metaphysical treatment for everything from back pain and weak immune systems to radiation exposure, blood toxicity and reproductive issues. Remember, however, that those with these and other conditions should also consult with a medical practitioner. Rubellite tourmaline has an attractive, appealing hue that often looks similar to a ruby and that has desirable gemstone qualities, such as translucency and hardness. Because of the combination of these factors, it is worn in many of the same ways as a ruby or other gemstones. For example, you may find this gemstone used as a pendant in a necklace or on a bracelet. It may adorn the hands in the form of a gorgeous ring, or it can be used to create stunning earrings. Because of the unique and eye-catching coloring, some individuals may wear more neutral tones in conjunction with rubellite. This may make the jewelry pop as an accent piece. If you have never purchased rubellite tourmaline, you understandably may wonder where you can buy it. This is a rare gemstone that may be challenging to find in local jewelry stores; may consider calling ahead to a few stores before venturing out. You can also buy it online through many sources. When making an online purchase, ensure that the vendor is selling the color of gemstone featured in the product description. Remember that the pink or lighter shades of rubellite are far less valuable than the deeper red and reddish purple color. Rubellite tourmaline is a gemstone that many consumers are not familiar with, but it nonetheless is in high demand in the marketplace. Because it is available at many price points depending on its exact coloring and other qualities, it may be suitable for most consumers on a wide range of budgets. Have you ever used this gemstone for its metaphysical properties? Leave us a comment below. 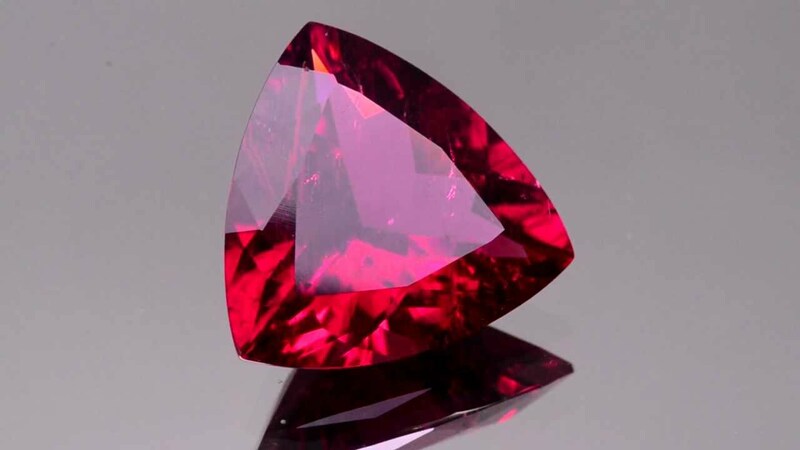 Hey Buddy!, I found this information for you: "Rubellite Tourmaline: Characteristics, Properties, and Occurrence". Here is the website link: https://accessgems.com/rubellite-tourmaline-gemstone-overview/. Thank you.